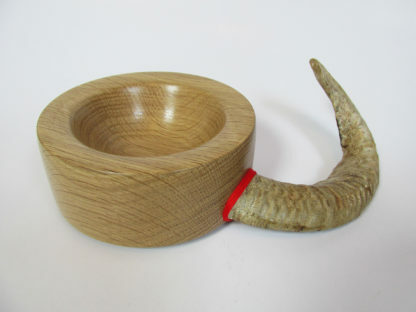 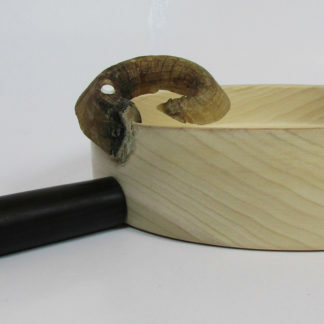 Hand made wood turned bowl with sheep horn. 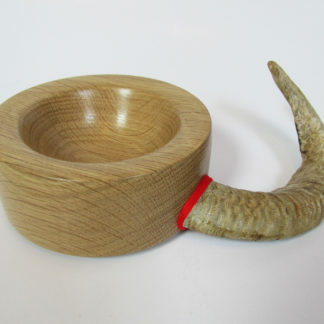 This was an old sheep horn I had kept for years waiting for a chance to use it in a project one day. 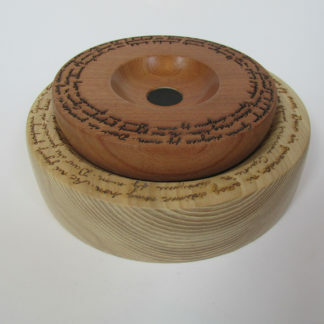 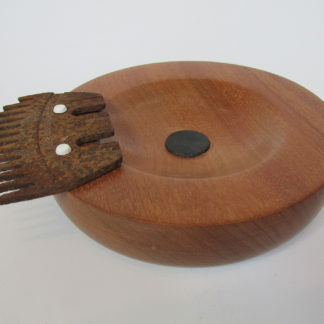 It is attached with a pin to an Oak bowl and binded with red thread around the joint.